It’s hard to turn on the television for any extended amount of time and not see ads or references to alcohol consumption. While there is nothing wrong with alcohol consumption in moderation, many people become addicted to alcohol and have problems shaking this addiction. If you are one of many people suffering from alcohol addiction, you will need to be sure that you do everything in your power to make the most out of your situation by getting help from people who can provide that help. They will take your problem and make sure that you overcome it, because they will give you the helping hand required to make sure that the alcohol does not control you.One of the best things you can do is to reach out to an alcohol detox facility that can provide for you. 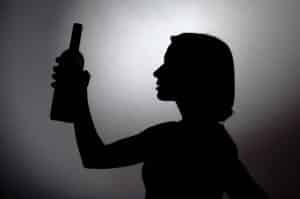 When you want to get past the problem of alcohol, you should reach out to professionals who not only will help you get past the physiological aspects of alcohol addiction, but will delve into the psychological issues that caused your addiction in the first place. You will be able to step foot into a treatment center that provides alcohol detox, in order to monitor you and safely guide you through the process. For some people this will only last a few days, for others it may take a week or more to become stable again. There are a variety of people who can help you with your problem and will make sure that you are able to detox safely in a medically supervised environment. Alcohol withdrawal symptoms can not only be unpleasant, but fatal so it is important not to detox yourself without someone experienced present.When this is what you are looking for, you should be sure that you do everything that you can in order to get your life back under control, while healing yourself and making sure that you do everything possible to cure yourself when you are facing mountains of problems. Regardless of how serious your alcohol addiction is, admitting you have a problem is the first step. Next, you’ll need to undergo alcohol detox and make sure that you’re giving yourself the best possible chance to succeed.